Have you ever walked down the Path to the Past? 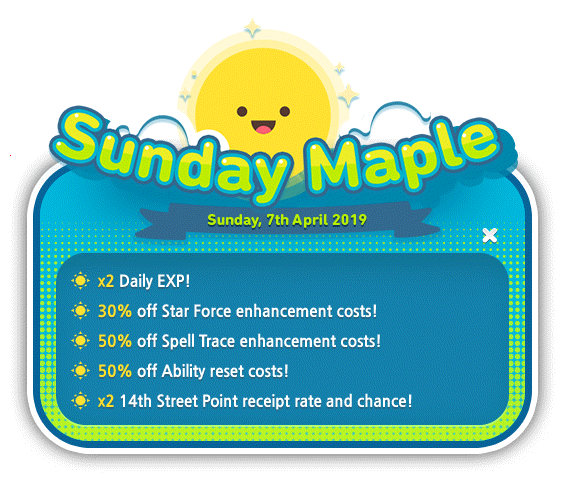 Join us in our festivities in Maple World's busiest disctrict, 14th Street! 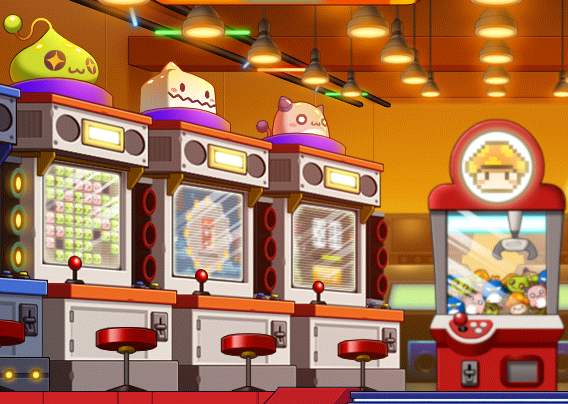 Featuring restaurants, clubs, an arcade, and even an astronomical observatory based off major MapleStory patch milestones and a ton of activities, you're sure to never get bored! • The 14th Street gauge will be used for players to keep track of their 14th Street points that can be earned from the 14th Maple Street events. 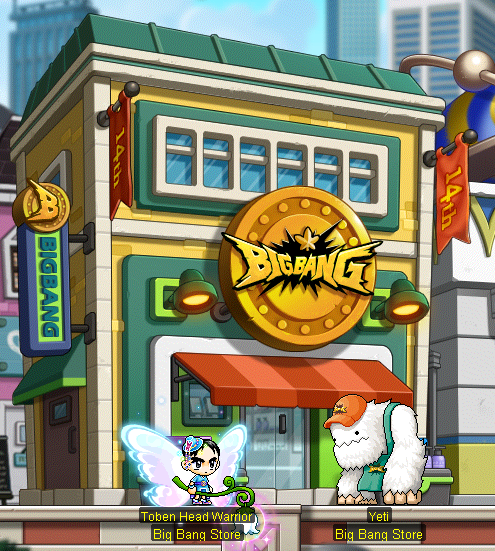 • 14th Street Points will automatically be converted into 14th Street Coins which can be used in our Big Bang Store & the Beyond Fashion Store to purchase. • Every 100 14th Street Points is 1 14th Street Coin. • Obtain 14th Street Points from all the various activities in 14th Street! 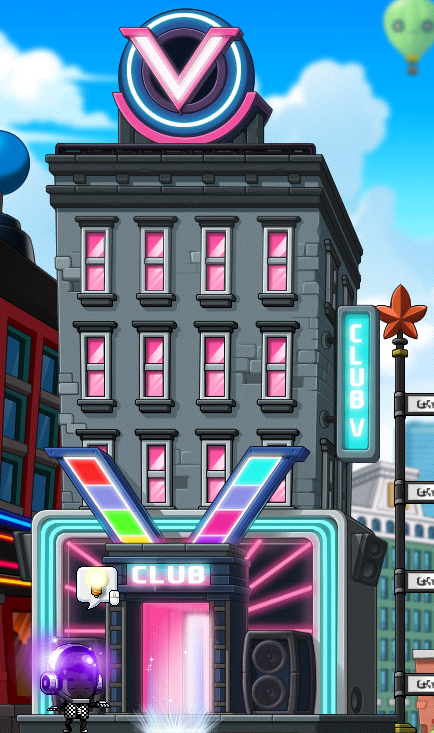 • There is a daily limit of 20,000 14th Street Points that can be obtained across all events. • Complete the starting quest to receive a Come to 14th Street! title! • Help the people of 14th Street to increase the stats obtainable from the Come to 14th Street! title. • Check your reputation on 14th Street by accessing Check 14th Street Celebrity Reputation on the 14th St. Icon within the Star Icon on the left hand side of the screen. • Complete missions and achievements in 14th street to increase the stats of the Come to 14th Street! title. ➢ Use the Big Bang Attack skill 100 times. ➢ Talk to Pink Bean during the Pink Bean's Popcorn Time buff. ➢ Charge monsters in Frozen Link for 3 days in a row. ➢ Charge 15,000 monsters in Frozen Link. 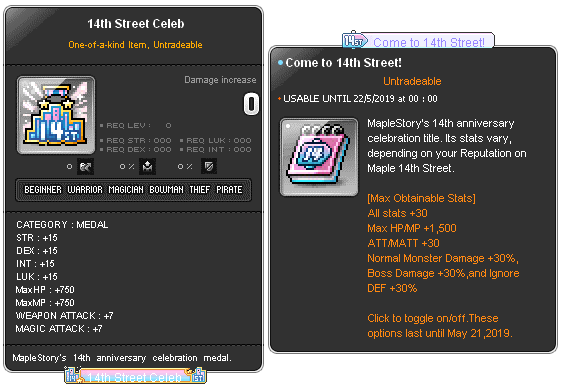 • Increase your reputation to the maximum by completing all of them to receive a special 14th Street Celeb Medal! 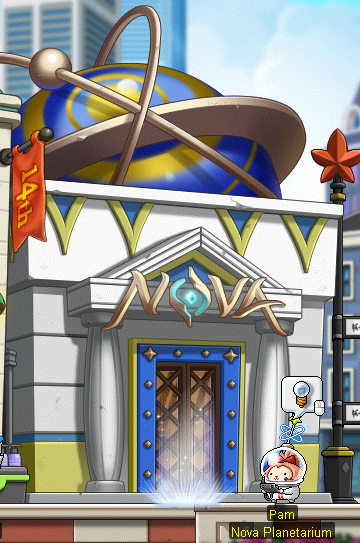 • Even if you're busy in an alternate reality, did you know that you can have your character avatar remain idle in the popular busy district of 14th Street? There are a ton of benefits to be obtained just by staying within 14th Street during the event period! ➢ Enjoy discounts and exclusive anti-destruction and gain points while utilizing Star Force enhancement in NOVA Planetarium! 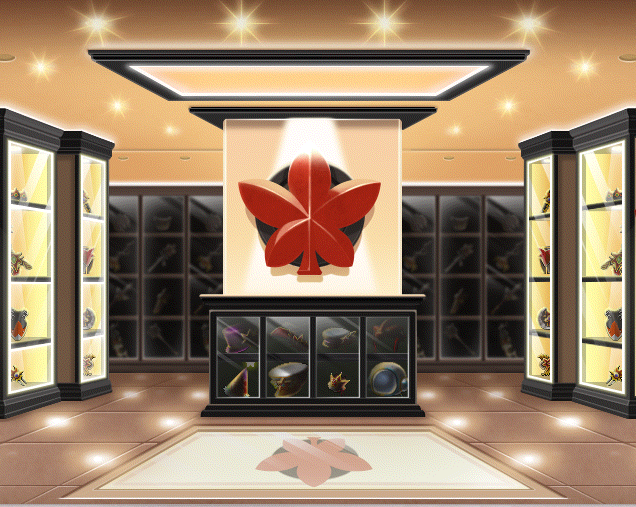 ➢ Obtain Honor EXP by collecting Maple Leaves that drop from the huge Maple Tree adorning the lobby entrance of LEGEND Tower 62. ➢ Obtain trait EXP in ARK Museum just by taking in the art pieces and observing their beauty. 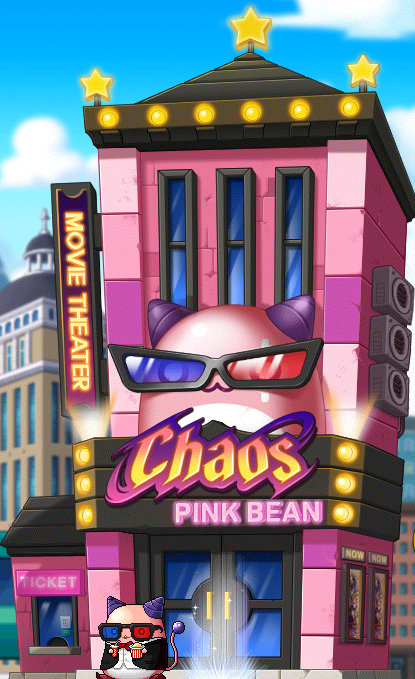 ➢ Grab some popcorn and get a 14% additional EXP buff for 30 minutes while catching a movie at the CHAOS Pink Bean Theatre! Buff will be given to everyone in the map on the 14th minute of every hour. ➢ Organize a fancy coffee outing with your guild members at the YOU & I Cafe to obtain a 2x EXP Coupon (30 minutes) by forming a party with 3 guild members after a minute (obtainable once per day)! Remember, as Cassandra says, Dine! Shop! Play! CHAOS! Pink Bean Theatre is now open for business! Aside from getting a sweet popcorn buff every 14th minute of the hour (30min 14% EXP buff), this is your one-stop station for all things BEAN! I'm back with a boing! Enjoy exclusive limited-time Pink Bean class and get great rewards! • Pink Bean only comes in one look, no customization will be available regardless of equipment used. • "But I don't have any more character slots!" We heard you! Maximum character slots has been increased to 47 with v185. Refer to the Patch Notes for more information. 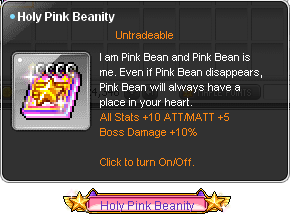 Pink Bean returns with 2 new skills! 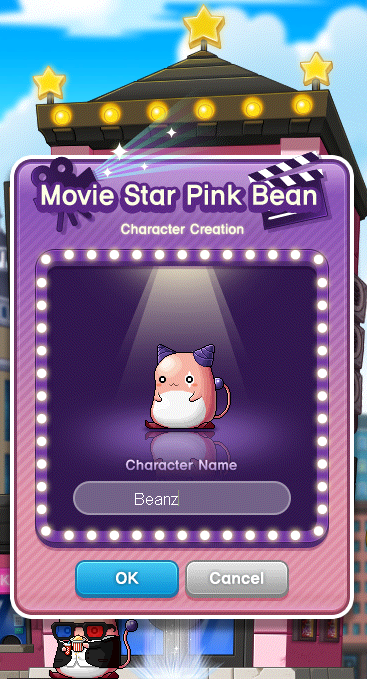 • Complete the Pink Bean's Movie Scenario to obtain rewards! You remember all your coins yet? Yeah here's where you spend it, but do hold back, you can spend it elsewhere too! Cue BEYOND Fashion. 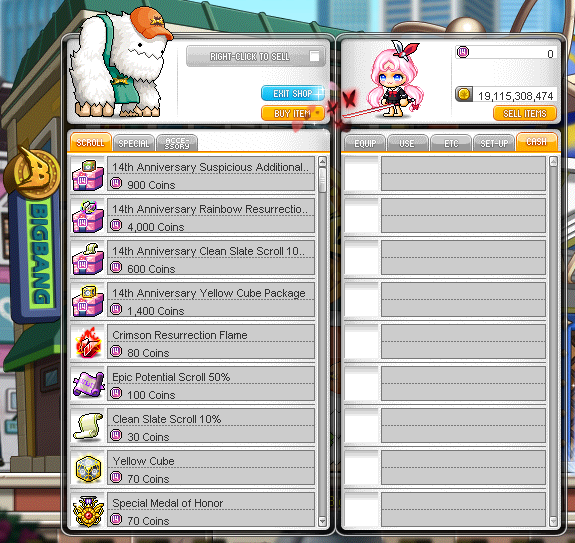 2 Seasons of Anniversary goodies ranging from utility scrolls and Club V dance chairs and the ol' trustworthy event rings! Play hard, save up and shop hard! Starting a fashion business in this day and age can prove tricky. Clearly throwing advertisements to monsters will be the best way to promote your store. 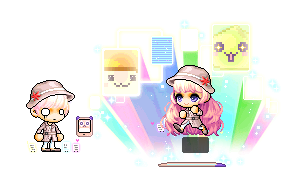 • NPC Check-yo wants to open a boutique store and has scattered Beyond Fashion Coupons all over Maple World. • Beyond Fashion Coupon can be obtained from Level Range Monsters. 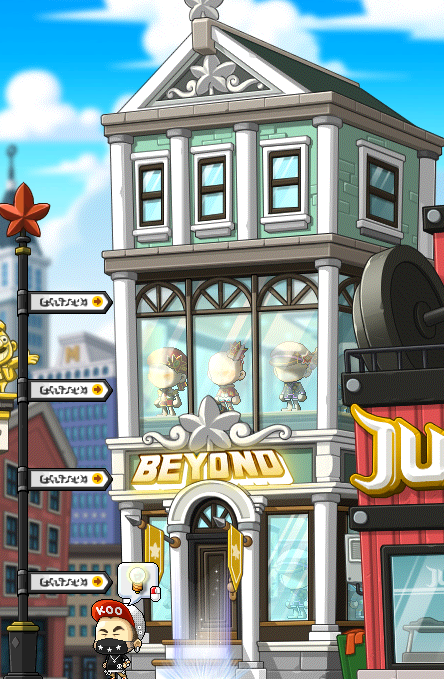 • Upon using a Beyond Fashion Coupon, you can obtain a random Maple Anniversary equipment and 500 14th Street Points. • You can obtain Beyond Fashion Coupon up to 40 times per day. • The Beyond Fashion Boutique store is also open for business should you be looking for a particular equipment. Simply enter the store and make your purchase with 14th Street Coins! • Be a VIP by opening many Beyond Fashion Coupons, and you can purchase an exclusive line of clothes! A club catered to all ages! 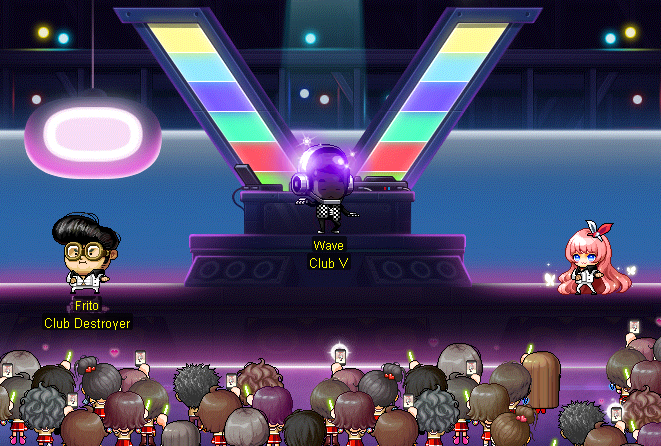 Grab yo chairs from Yeti in the Big Bang Store (for mesos) and groove it out sitting on chairs in Club V! • You'd never think that Frito would cause a Club manager to sigh in distress would you? He's bringing his retro dance moves to the modern and trendy Club V! • Clearly, it's up to you, our resident Maple 14th Street Celebrity to put Frito in his right place. • All that time spent chasing chickens away must have helped. Copy Frito's Dance moves and show him who's the boss here! • Observe what Frito does, and do the exact same moves like a pro! Ouch, hot, hot, hot! It burns! Mega Burning Project has returned once again! Enjoy 1+2 Level Up all the way to Level 130! Requirements: Newly Created Characters within event period. Character must be selected as the Burning Character upon creation. 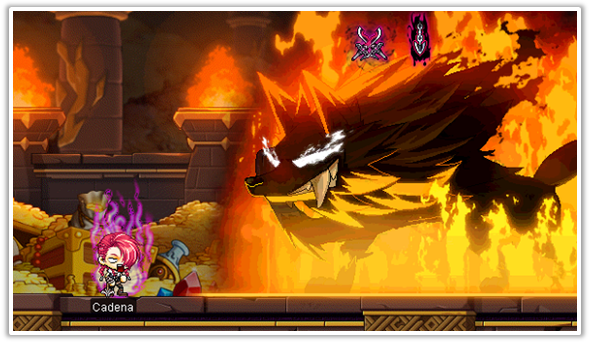 ➢ Get a Keep on Burning title when you use this coupon at Level 130! Stats last for 14 days. For the past 14 years, you, and other players, have continuously supported MapleStorySEA through good and bad times. Let us celebrate our 14th year with a special give-away! During the event period, all players will be able to obtain a gift box containing many awesome goodies - including an entire permanent set of our 14th Anniversary themed Cash Equipment Set! Tangyoon's dream is coming true! He is finally able to open his own... Machelin Grade worthy restaurant in the heart of Maple 14th Street. With Machelin Grade dishes come Machelin grade ingredients, though. With his fight for a Machelin-rated restaurant, it's no wonder this happened... But it's all up to you... keep Tangyoon's dream alive! ➢ Hunt 10 of each dishes to accumulate and fill the gauge! ➢ Keep a look out for a special monster that can fill all types of food gauges at once! 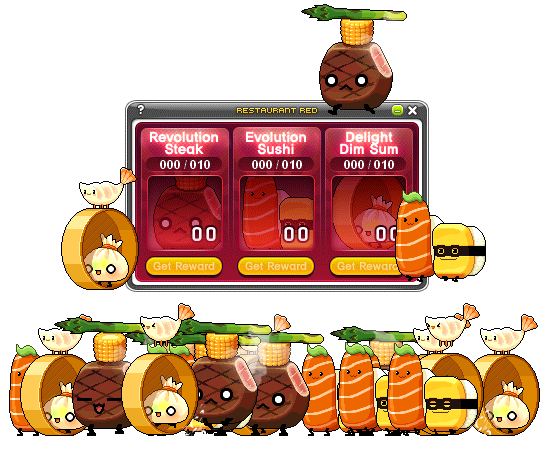 ➢ Obtain rewards based on the food hunted! ➢ Delight Dim Sum award 600 14th Street Points each, with the 10th and 20th Delight Dim Sum awarding 3,000 and 6,000 14th Street Points respectively. 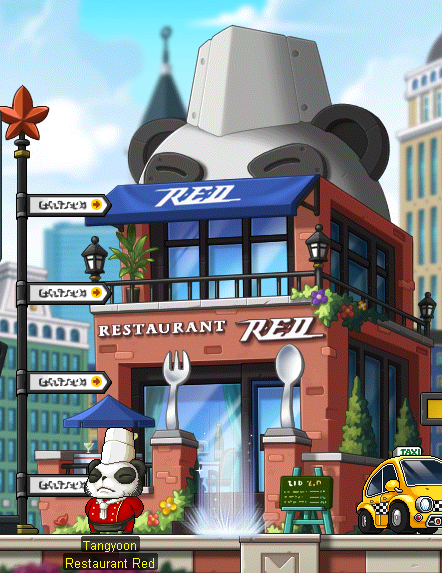 ➢ Special EXP boost items can also be purchased from Restaurant Red that resets every week (every Thursday at 0000hrs) during the event period! Kemdi has been missing for a long time, and it seems like we finally have a clue as to what he's up to. Behold his new Arcade with a large variety of game machines! I'll never get bored if I'm here. Maple 14th Street is starting to liven up! 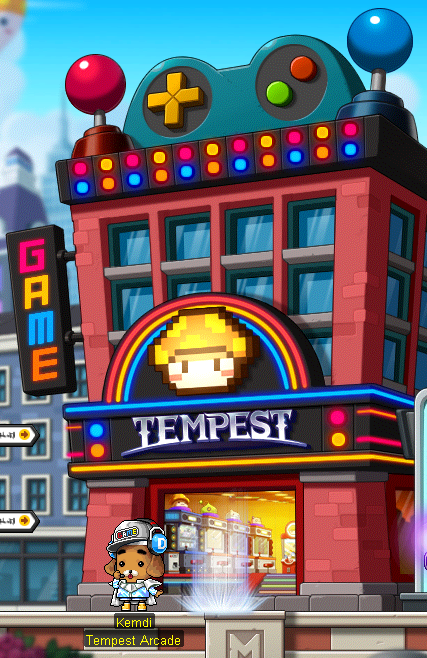 Enjoy multiplayer mini-games galore with friends, guildies and who knows, maybe even your rivals! This is a classic by now, I take it. Doesn't matter if you have just One Card left, for the goal is to have NONE Cards left. ➢ The objective of the game is to play out all of your cards before anyone else does! ➢ Attack Cards: This card (depicted with weapon logos) launches an attack where the next unfortunate player has to draw extra cards from the deck! ➢ Knights of Cygnus: These cards are special cards with special abilities. Watch out! Conquer the monsters and claim board spaces and make your opponents pay for unauthorized trespass! ➢ The objective of the game is to have the most HP and outlive all your opponents! ➢ Get an extra turn when you roll a double! ➢ Landing on a monster tile will allow you to tame it by using your HP, or take damage if it has already been tamed by other players! ➢ You may choose to conquer and obtain a monster previously owned by another player by enhancing it at a higher cost of your HP. The original owner will be compensated some amount! ➢ Chance: These tiles (depicted with a question mark) will randomly give an action to the player. It will not take effect if another player is already on the tile. 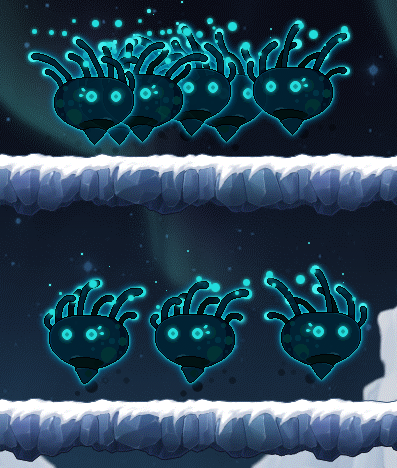 ➢ Boss tiles: Special monsters that can only be tamed by one player throughout the entire game, with varied effects depending on the players landing on these tiles! ➢ In the hunting map, talk to NPC Tarrentu and summon monsters with 5 14th Street Coins per charge! ➢ Receive 120% Frozen Link bonus EXP when you hunt in Planet Ice Cold! ➢ There is a daily cap to the number of monsters you can charge per day according to your character level. Sunday has officially became my favourite day of the week.